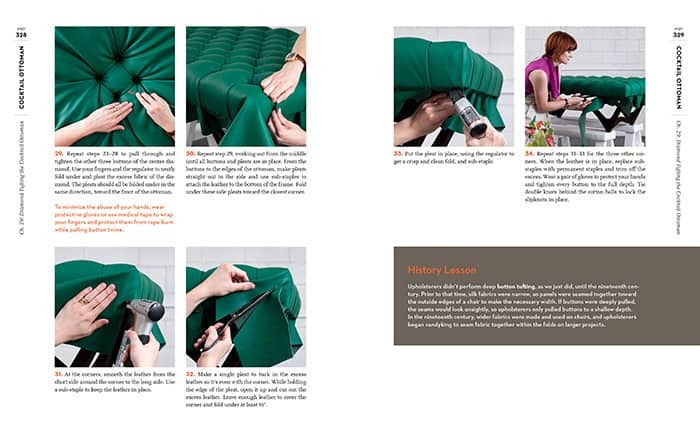 If you have ever had an inkling to try to upholster a thrift store find, this awesome book can show you how. 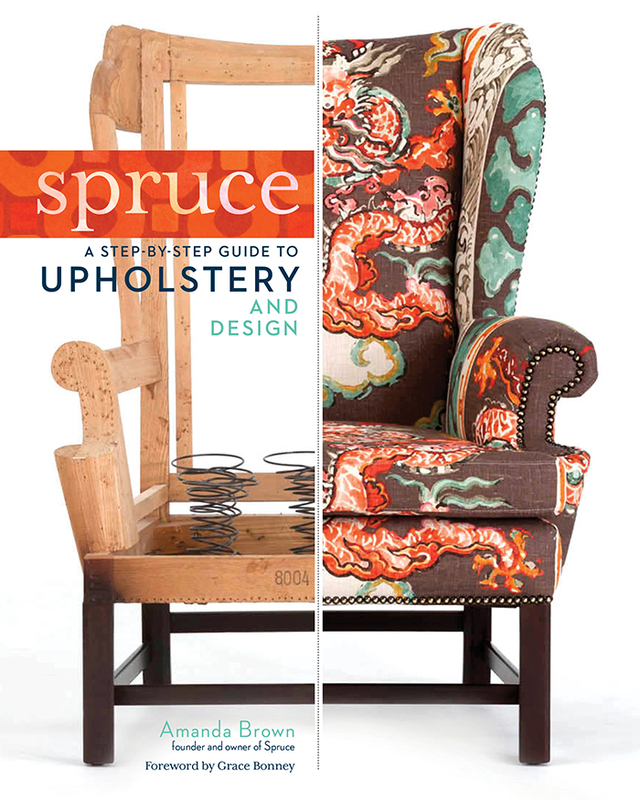 Amanda Brown is the author and brains behind Spruce: A Step-by-Step Guide to Upholstery and Design. 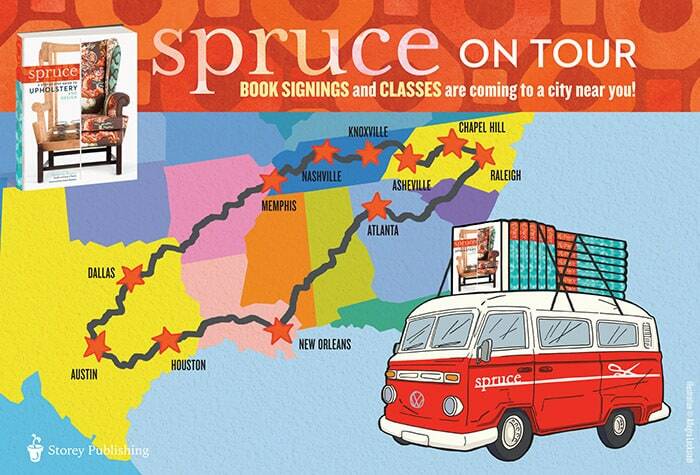 In just about a week and a half, Amanda and her troop of Sprucettes will hit the road for her first official book tour, plus she’ll be doing classes in each city. You may remember when Jacinda went to visit the Spruce headquarters. So cute! As a self-admitted furniture hoarder (luckily I can hide behind the front of “It’s for the shop!”), I’m so glad to have upholstery in my bag of tricks! Through each piece of furniture, I can create something special, customize the comfort and design of the piece, and witness a miraculous transformation all by my own hands. 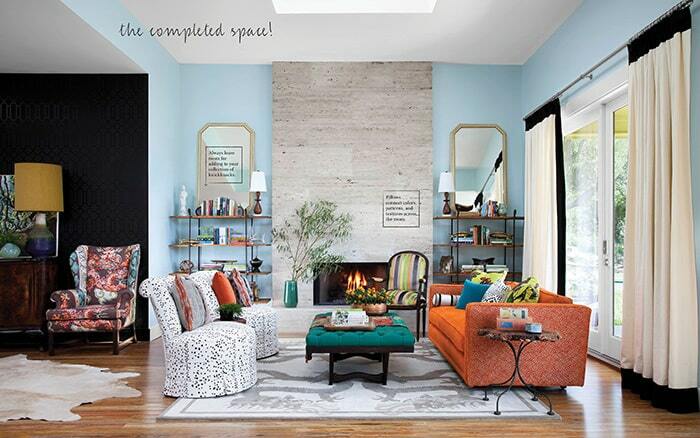 You can’t imagine how satisfying that is until you plop down on that cushy, reinvented sofa with a glass of wine to watch your favorite flick. Just don’t spill! 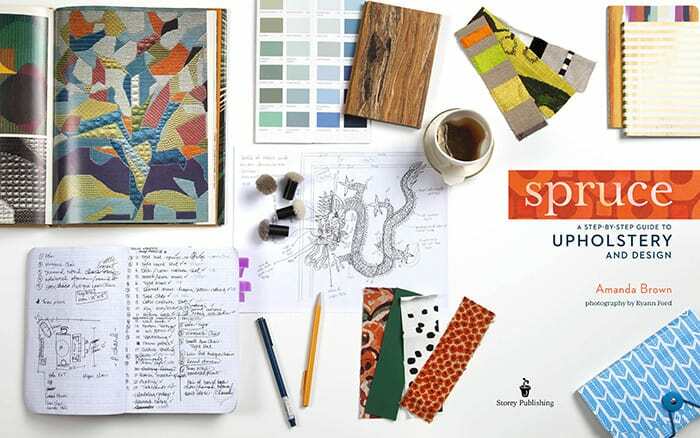 The Spruce book gives you the skills from A to Z to reupholster any piece of furniture and the inspiration to look beyond the tattered, dirty exterior of that thrift store find. 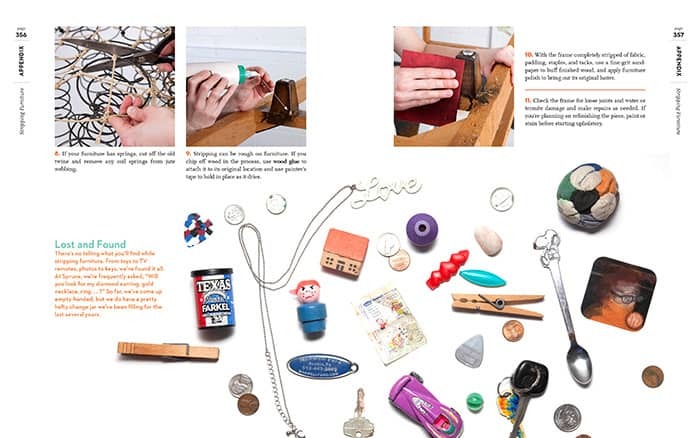 It’s exactly the source I wish I had 6 years ago when I picked up my staple gun for the first time! If you’re in Austin, I hope you’ll stop by the shop, or join us for one of our classes on book tour. We’d love to meet you! Learn more about her Lampshade and Bench Classes, plus how registering automatically enters you into another awesome giveaway. The book tour begins in Austin at Mockingbird Domestics on Friday, October 25! 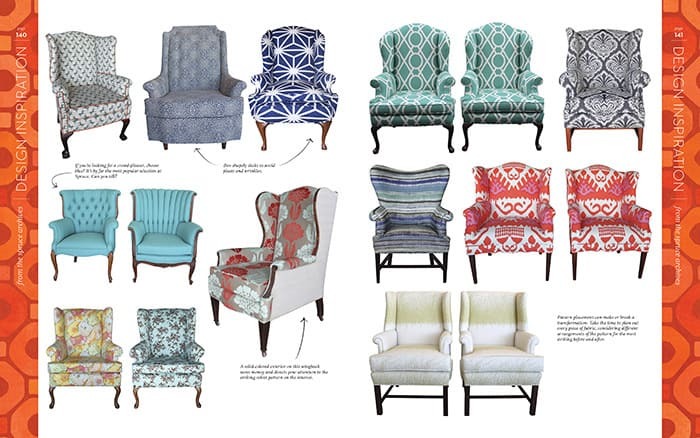 Photography (c) by Ryann Ford, from Spruce: A Step-by-Step Guide to Upholstery and Design (c) by Amanda Brown, used with permission from Storey Publishing. I pinned this giveaway to my “giveaways” board too! Cheers! Thanks for the great blog post! It looks awesome! The deadline for the contest is November 1, right around the corner! Actually when someone doesn’t know then its up tto other people that they will assist, so here it occurs.